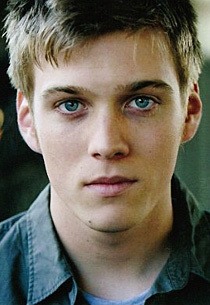 [SPN]: Adam Milligan "Yesterday I died;tomorrow's bleeding"
The fans pick: Hell yes!!!! All the way!!! Which brother do 당신 see Adam getting along with more? The fans pick: Dean!!! He's sooooo much like him!!! Do 당신 think that Adam looks like Sam and Dean? The fans pick: Sort of.. If Adam will be in 수퍼내츄럴 season 6,which character would 당신 want Adam to interact 더 많이 with? If Adam did come Back what would 당신 want to happen? Is there anyone here who can create a really cool Adam-Girls 팬 video we can post here as well as the CW? Are 당신 excited as I am to see Jake portray Michael through Adam's body???? Is anyone else here really anticipating the SPN finale and hoping Dean & Sam can save Adam???!!! The porch light was on when the house came into view, and Mary sighed softly, knowing Adam was waiting up and hoping he didn’t go crazy when he saw her face 또는 her neck. The possibility was low, but she still hoped. Dean slung the shot gun around his shoulders, motioning for Sam to watch over the two 천사 in case something didn’t smell right. The he grabbed the cell out of his left 재킷, 자 켓 pocket, 읽기 “Unknown Number” on the caller I.D. This couldn’t be good. Instead of over thinking his options, Dean flipped open the phone. “What do 당신 mean she’s your daughter?” Sam pressed disbelievingly, unable to accept what he was hearing. Michael just calmly stood, as emotionally cold as a statue. His youthful brows slightly lifted stating his slight amusement in the taller Winchester’s reaction towards the sudden paternal confession. “I mean Kay is my daughter Sam.” he answered coolly. In a matter of minutes, Dean pulled his shiny 67’ impala into the gravel driveway of the house they held up at. Then he and Sam bolted out of their doors armed with 총 and no idea of what they were up against. The only things they cared about were the lives of Adam, Kay and Sarah, people they left behind without a rash thought. If only they had considered their plan 더 많이 thoroughly maybe the two young hunters wouldn’t be in this predicament. The hotel Beth Mason’s parents were staying in was just a few blocks from the library, and after calling ahead to make sure the couple was still checked in, Dean pulled around and got his badge ready. Sam grabbed everything they’d found so far, and together, they got out of the car to make their way up to the floor where James and Melinda Mason were currently staying. “So what do 당신 think?” Sam asked. So the writers of 수퍼내츄럴 say they haven’t forgotten about Adam, who they kindly left rotting in Hell at every opportunity. We haven’t forgotten about him either and we’d like him back, preferably for 더 많이 than one cop-out episode. a comment was made to the poll: Do 당신 think we should get to see Adam meet older John 또는 younger John Winchester? a comment was made to the poll: Which Adam is the best Adam? a comment was made to the poll: Do 당신 think Adam will survive the finale and return for season 6? a reply was made to the forum post: Keep Adam!!! Countdown to 1 000 팬 ! WE NEED TO BRING JAKE BACK TO SPN!!! !